On Monday, in a 2-1 ruling, the 7th U.S. Circuit Court of Appeals in Chicago rejected claims of plaintiffs that the Illinois state law requiring advocacy groups, including organizations which had main purposes unrelated with elections, to disclose donors was in any manner restrictive of free speech. The plaintiffs were the Center for Individual Freedom. States and appeals courts are already divided on the issue of laws requiring disclosure of campaign donors and their interpretation and application of the 2010 decision of the U.S. Supreme Court in Citizens United v. Federal Election Commission. The Center for Individual Freedom alleged that it had plans to run advertisements in 2010 addressing “legal reforms” and “judicial matters” regarding incumbents running for re-election, but the Illinois disclosure law required it to register as a political committee and disclose anonymous donors. Unlike federal regulations regarding disclosure of political campaign donors, the Illinois law does not exempt groups whose “major purpose” is other than influencing elections, as long as it covers political campaign related territory including internet advertisements. The law also covers ballot initiatives at the state level. The Center for Individual Freedom submitted that it had skipped any advertising in Illinois in 2010 due to the restrictive law and alleged that the Illinois law violated the First and 14th Amendments’ rights for free speech and equal protection. U.S. District Judge William Hart in Chicago had dismissed the case earlier in November 2011, and the CIF appealed. 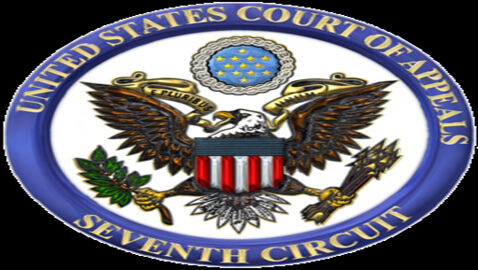 On Monday, the Court of Appeals, 7th Circuit, agreed with the lower court and dismissed the appeal. Writing for the majority, Judge David Hamilton observed that the disclosure provisions in the Illinois law were “especially valuable after Citizens United” and also noted that outside spending in the 2012 federal elections has already reached $300 million. A footnote in Monday’s ruling mentioned that already five appeals courts, in addition to the present ruling of the 7th Circuit, have rejected lawsuits challenging disclosure provisions regarding donors to political campaigns. The majority noted that the disclosure law struck a balance between protecting individual speakers from invasions of privacy and protecting the electorate from questionable political campaigns without transparency or accountability.